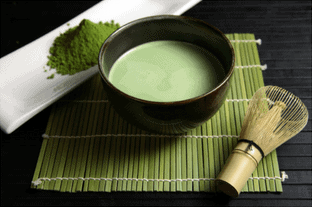 Place 1/2 a Chasaku (spoon) of Matcha into the Chawen (bowl). Add 75ml of hot (80 degrees or less) water. Blend using the Chasen (bamboo whisk) in a zig zag motion creating an “M” or a “W”. Prepare the Matcha as above (but using 3 Chasaku and 120ml water). Add 1 tsp of raw honey and whisk until dissolved. 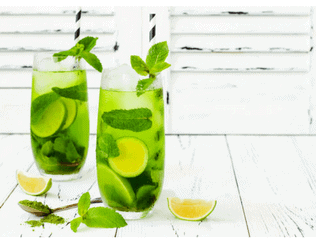 While the Matcha is cooling, place a few sprigs of mint, one stick of fresh lemon grass (split into two) and a sliced lime into the diffuser section of an iced tea jug. Poor in the Matcha. Top with 650ml of sparkling water. Add ice and leave to infuse for approximately 5 minutes. Remove diffuser and shake well to blend. Serve immediately or keep in the refrigerator for up to 48 hours. Place 100g of sunflower seeds, 50g of pumpkin seeds, 1 tbsp of vegan chocolate protein powder, 25g of desiccated coconut, 1/2 tsp of Matcha and 1/2 tsp of wheatgrass juice powder into a food processor and combine. Add 50g of soft dried apricots and 40g of medjool dates. Combine further. Add 1/2 tsp of coconut butter, 1/4 tsp of vanilla bean paste, 2-3 tbsp of pumpkin seed butter and a little water. Process until the mixture sticks together. 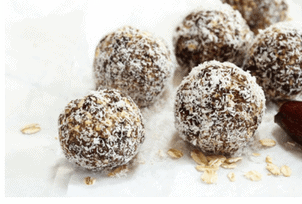 Roll into bite sized balls and coat in desiccated coconut.